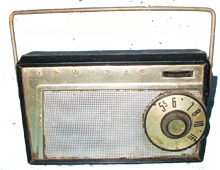 Admiral 801 transistor AM radio. Overall appearance is far togood. Black plastic case & back need a really good cleaning & polish but there are no cracks or chips or significant scratches. Grille is filthy but should clean up well. Dial is very good. Label inside is very good. 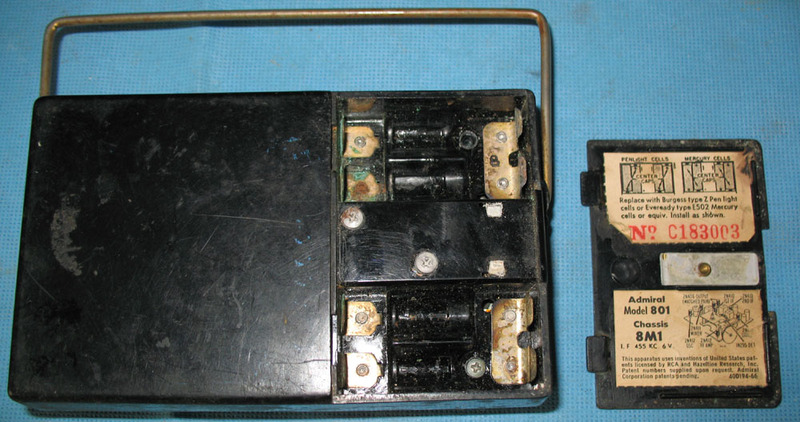 Chassis clean, no visible rust but battery compartment has considerable corrosion. Audio section working but unable to tune a station in a brief test. Requires 4 "AA" cells. Approximate size in inches 5.5W, 1.75D, 3.25H. Item #6936 .